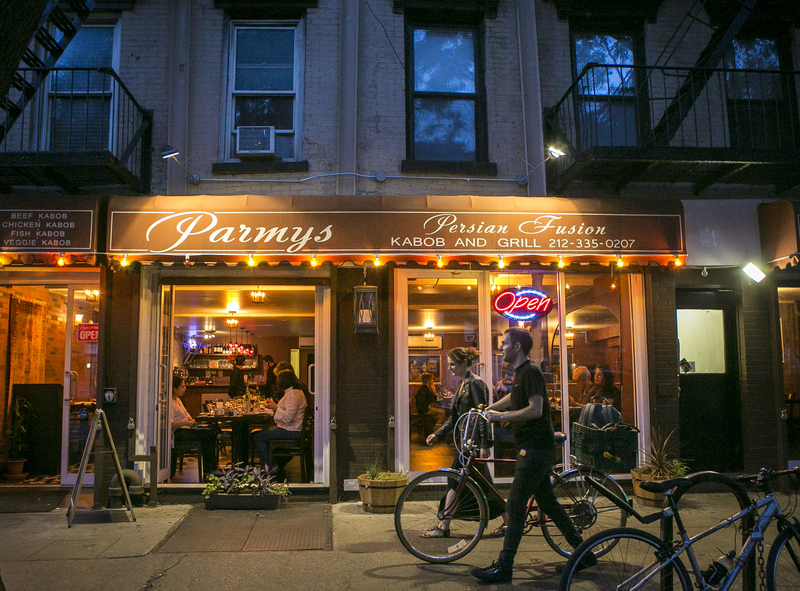 At Parmys, in the East Village, Mojgan Raoufi is part chef and part alchemist. Her Persian cuisine is worlds away from the minimalist school of cooking, where the dogma is not to mess with the ingredients much, if at all. Instead, through hours of laborious cooking, she works with ingredients like pomegranates, wild herbs, saffron, dried limes, and pistachios, and coaxes out lush, captivating flavors. What’s remarkable is how such disparate ingredients can result in dishes so harmonious, it is difficult to recognize the original ingredients. 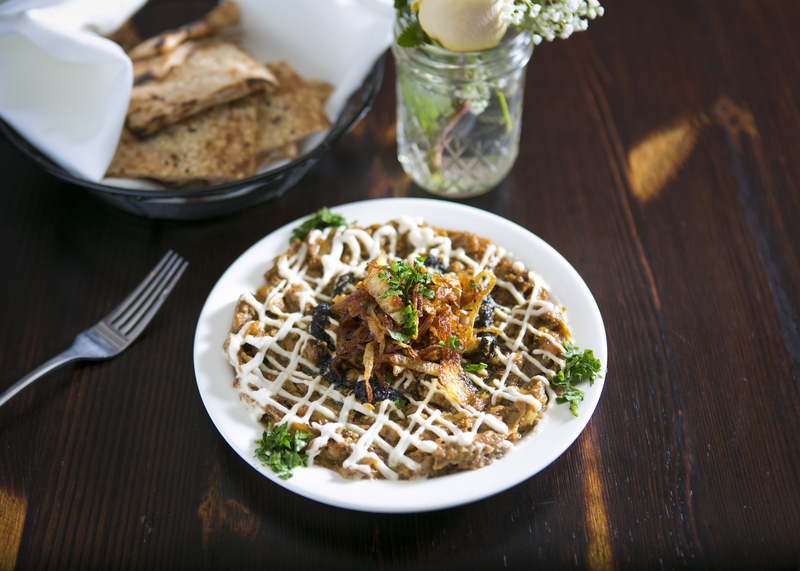 Most familiar to American palates might be the Kashk Bademjan ($6.50), where the bite of onions is tamed into a caramelized savory sweetness, complemented nicely with creamy eggplant. In another appetizer, the Kuku Sabzi ($7), cilantro, parsley, and scallions, bound with a bit of egg, are baked, drawing out surprising earthiness and mellowness. 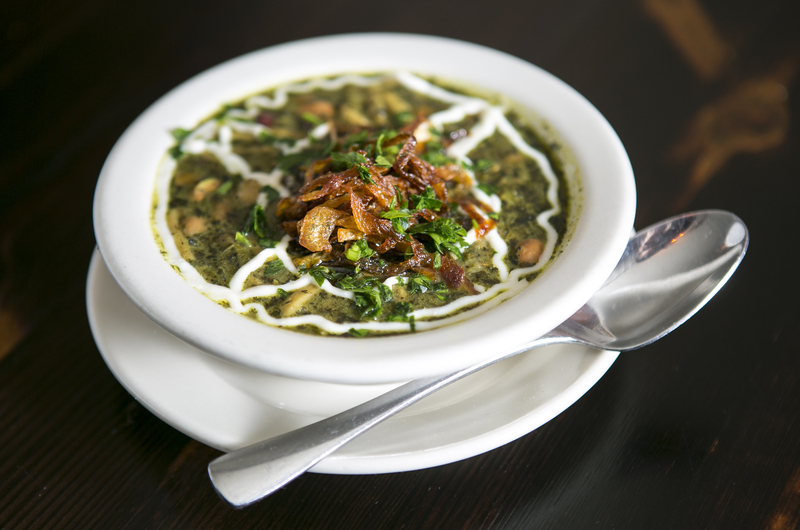 The most traditional Persian soup, Ash Reshteh ($7), is thick in consistency, more stew than broth. It has an earthy and sweet aroma all at once, a soul-warming kind of dish, made of simple ingredients like lentils, chickpeas, beans, and noodles, and elevated by the use of herbs and spices—dried fenugreek leaves, mint, and turmeric. I can’t give it enough praise, except maybe to say that when I tasted it, it immediately rose to No. 2 in my universe of soups, right after my mother’s chicken soup (which of course, can’t ever be topped). There is an unmistakable brightness to the dishes. The acidity is that magic touch. Chefs are known to add acidity to dishes to enliven them. And increasingly, as cooks and eaters, we are getting more adventurous, (re)discovering pickles and their kin, which have long been part of traditional diets. In Persian cooking, there are various sources of acidity: mouth-puckering pomegranate molasses, the bitter-tart dried lemons, tart barberries (little jewel-like berries), for example. Most surprising to me were the stews. They are especially loved in the north of Iran, where Raoufi is from. It gets very cold there (“cold as Chicago,” she explained). “Stews are what every day meals are made of,” said Raoufi. In one of the stews, Khoresh Fesenjan, pomegranate molasses is combined with sweet potatoes, finely ground walnuts, and chicken to create a sweet-savory, wonderfully textured stew ($14.50). 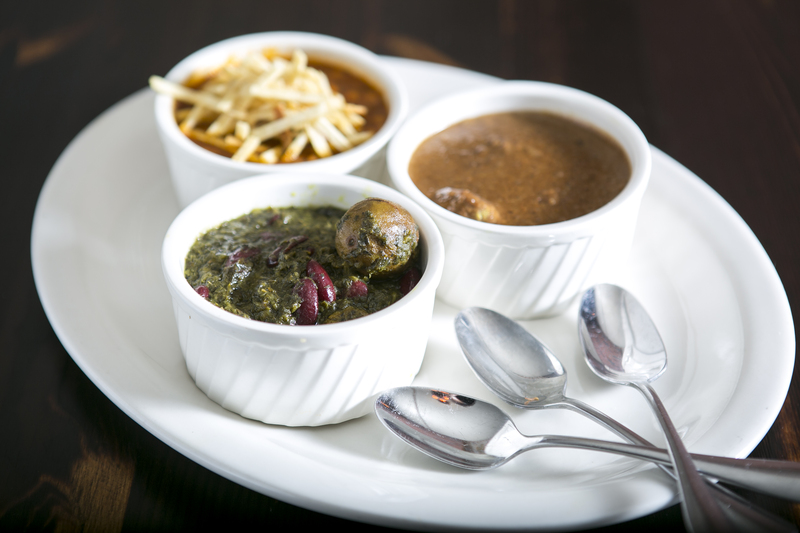 In another stew, the Gourmeh Sabzi ($14), chunks of beef and kidney beans get a pop of bright flavor from the dried lemons. Raoufi makes a few incisions into the lemons and drops them straight into the stew, letting the juices impart their bitter-tart flavor. If you wanted to make the dish tarter, you could simply squeeze in more lemon, but just be careful not to take a bite out of it, as a few diners have done, mistaking it for a meatball. It’s worth ordering these two stews together, along with plain white rice, as the flavors go well together, the sweet-sour-savory offset by the tart-bitter-pungent. Rice is serious business in Persian cuisine. From one pot of plain rice, what you get are really two very different things. One is the highly coveted golden crust of rice (called tahdig, literally, bottom of the pot), and the other, fluffy rice, with each grain distinctly separate from the others. The tahdig can either be just the crust of rice, but other ways of cooking it involve placing at the bottom of the pot either lavash (a flatbread) or slices of potatoes, to which the crusty rice will adhere. 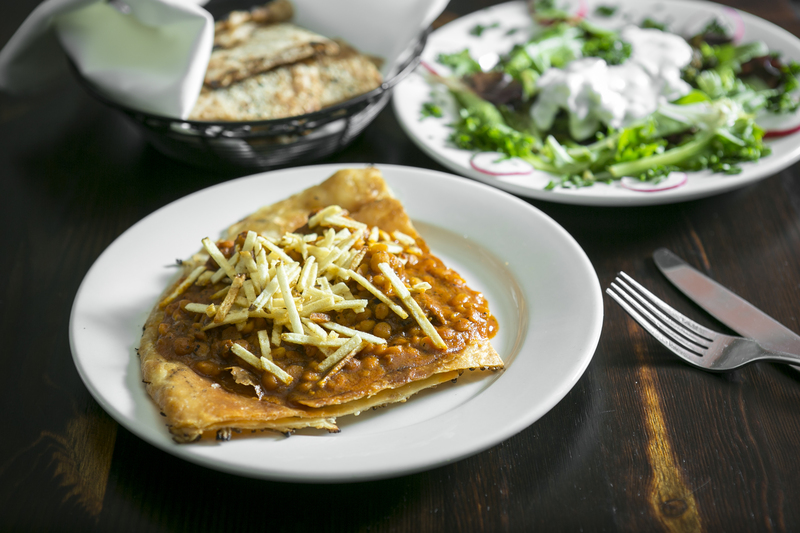 At Parmys, one pot of rice yields about five portions of tahdig with lavash, and it is topped with a stew of gheymeh, a stew of tender beef and split peas in a bright tangy tomato sauce, topped with crispy potatoes ($10). There is also a vegetarian alternative, with lentils, artichokes, and tomato sauce. 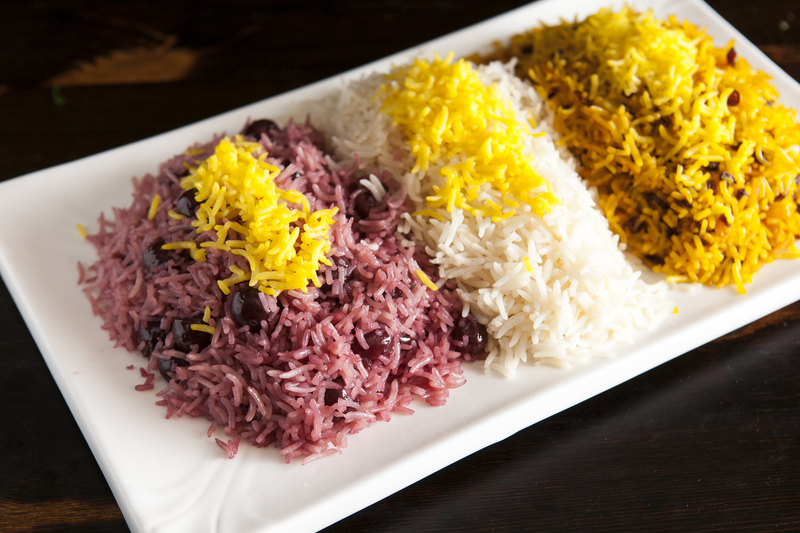 A whole restaurant could sprout up around the many Persian rice dishes that exist. Raoufi offers a few of them. It is the currant-like barberries that add a zing of acidity in this case (Zereshk Polo, $5). Another is the rice with sour cherries, which has a lovely pink hue, and is sweeter. (Albaloo Polo, $5). These rices pair well with the kebabs. 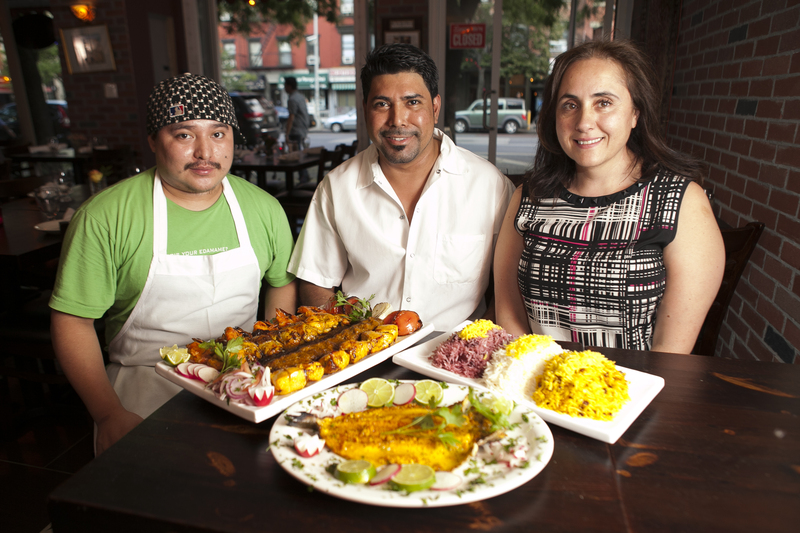 Especially noteworthy are the koobideh (a long kebab, made with beef that has been ground three times), the chicken, and the jujeh (Cornish hen). 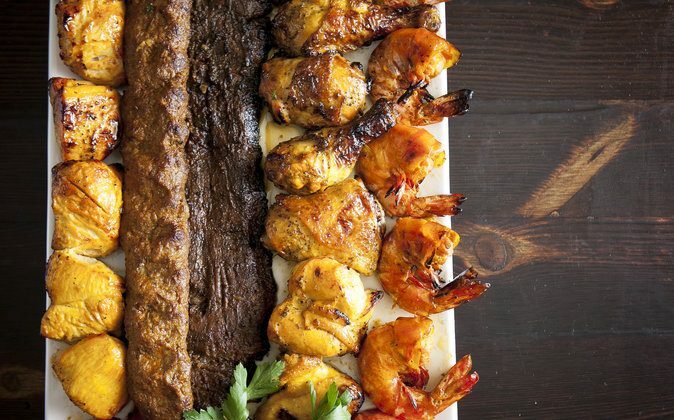 There are a variety of prices (starting at $14.50, chicken, koobideh, or vegetarian) and combinations, from the Sultani ($23.50 for skewers of koobideh and sirloin) to a mixed grill that feeds four ($59 for shrimp, salmon, sirloin, chicken, and koobideh). If you are left with any room at all, the homemade ice cream is pleasant, with bits of pistachio for crunch and the aroma of rosewater, to end the meal on a sweet, fragrant note. 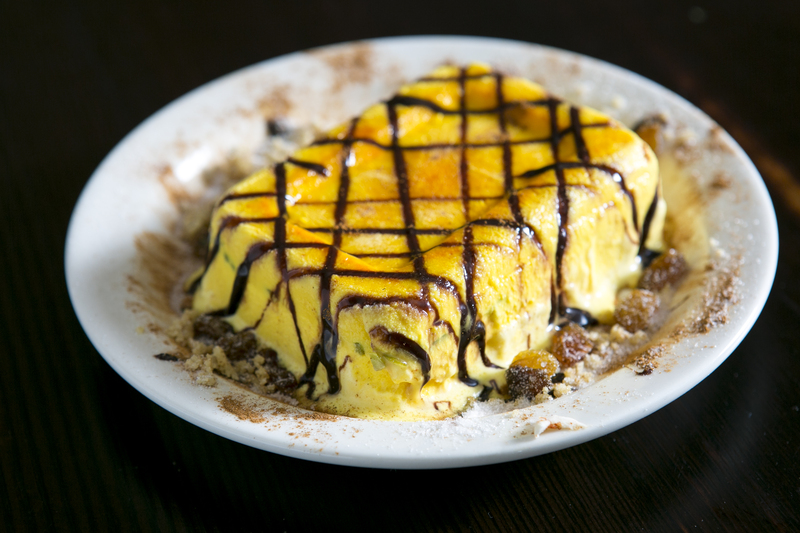 If there’s anything fusion about Parmys Persian Fusion (the full name of the restaurant), it is found in some of the appetizers: hummus and baba ghanoush, which are not traditionally Persian. The rest is unmistakably Persian, from recipes Raoufi learned from her mother. Raoufi opened the restaurant with her brother Amir. The two are close, and they had always wanted to work on a project together. One caveat. It’s easy to eat too much at Parmys. In a way, abundance is part of Iranian hospitality. But rather than contemplating the prospect of crawling home after overeating, like I did, it’s much easier to come again at a different time. There is a lot to be discovered here. 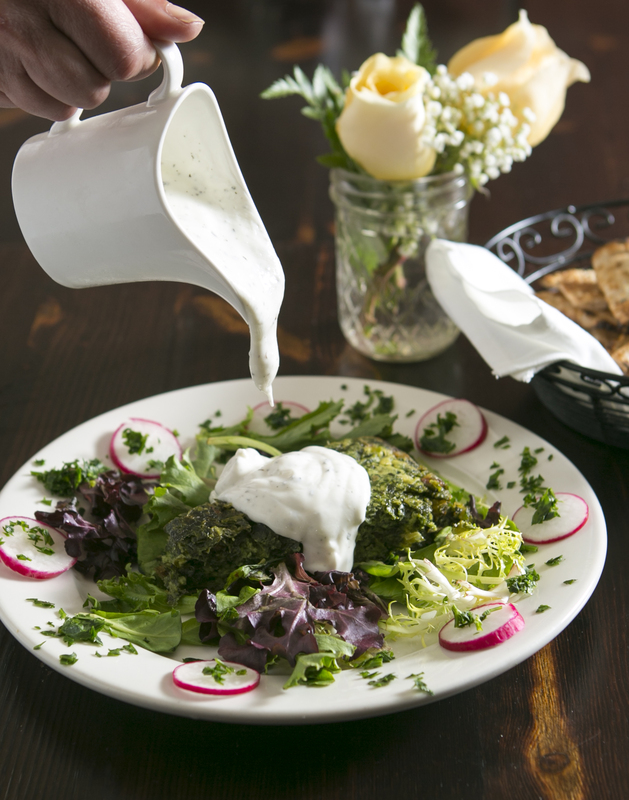 By November, in time for the restaurant’s anniversary, Raoufi will have expanded the menu to include even more Persian dishes, including for example, a pistachio-encrusted tilapia with a sauce made of feta cheese. If they are anything like what’s on the menu so far, I expect very good things to come from this little place.